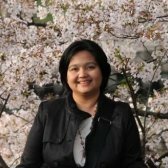 Many will agree that Japan has one of the best health insurance systems in the world, or at least among developed nations. And because it is mandatory to get health insurance for anyone who will establish even temporary residence in this country, foreign residents like us should really consider ourselves lucky, right? I guess. While good words or compliments can be said about the health insurance system, the efficiency of the health care system here in general is, I think, arguable. Customer service in this country tends to use a lot of words, probably out of fear of not giving all the information that they believe the customer must know. However, they seemed to have failed on this one incident that I just had. Moreover, considering that this involves role players in the health care industry, the lack of compassion was, for me, appalling. I’ve been taking some prescription medicines for more than a year now, and I’ve been getting my medicines from the same pharmacy immediately after consultation with my doctor, without any problems. 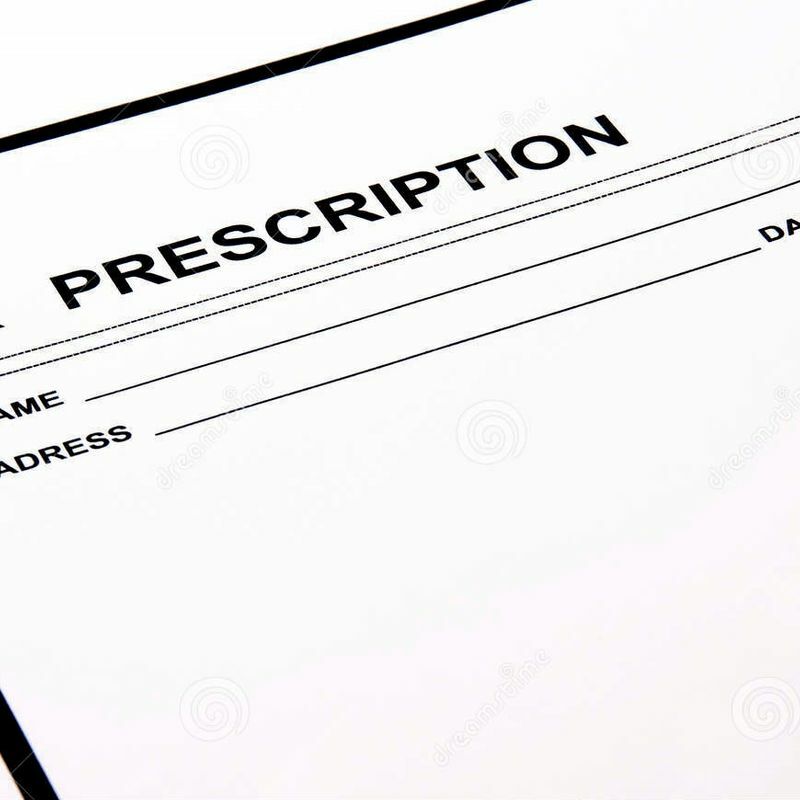 I just hand in the prescription, and the pharmacy does the rest. On my last consultation I decided to delay buying my medicines by a few days because (1) I still have some left in stock; and (2) I was waiting for my next credit card cycle to roll in. And this was where the problem sets in. The new pharmacy I went to did not give me my medicines because the prescription I had had already expired. Nobody, absolutely nobody told me that prescriptions have an expiration date, that it is only good for 3 days after printing. Furious, I literally ran to the hospital and asked for a reprint, which turned out to be a costly and time-consuming ordeal. What I initially planned as a 10-15 minute errand trip became a two-and-a-half-hour tiresome "tour" in scorching Japanese summer heat. I was forced to book a consultation that day with a different doctor (as my doctor was not in), which meant I had to shell out more than 1,000 yen in consultation fees just for a reprint. What an expensive print out that turned out. Worse, while the medicines are still covered by the health insurance, that whole consultation-just-for-a-reprint was not covered. What infuriated me more was that nobody I spoke with - at the pharmacy and at the hospital - could not get the frustration I had when all of this was happening. As I was already angry and crying because of all this nonsense bureaucracy, one staff even made it worse by putting me in an isolated room while waiting for my turn for a consultation that, again, I did not need. Through it all, everyone I encountered in this ordeal said the same thing: that it is the national law. So I ended up saying the same thing: nobody told me or warned me about it! Because the prescription came from my doctor, he should have warned me about it. He should have pointed out that section in the paper that indicated the expiration date! What, did he or they expect me to understand all the details there, written entirely in Japanese? At the end of this whole thing, I asked myself: should I consider this as a learning experience about healthcare here? Perhaps, but I will stand that this was one lesson that was unnecessary to learn. Unnecessary because this mishap could have easily been avoided had I been properly informed about this provision on prescription expiry dates. Yes, I am aware that ignorance of the law excuses no one, but I also firmly believe that having this information withheld - accidentally or otherwise - is just as unacceptable. 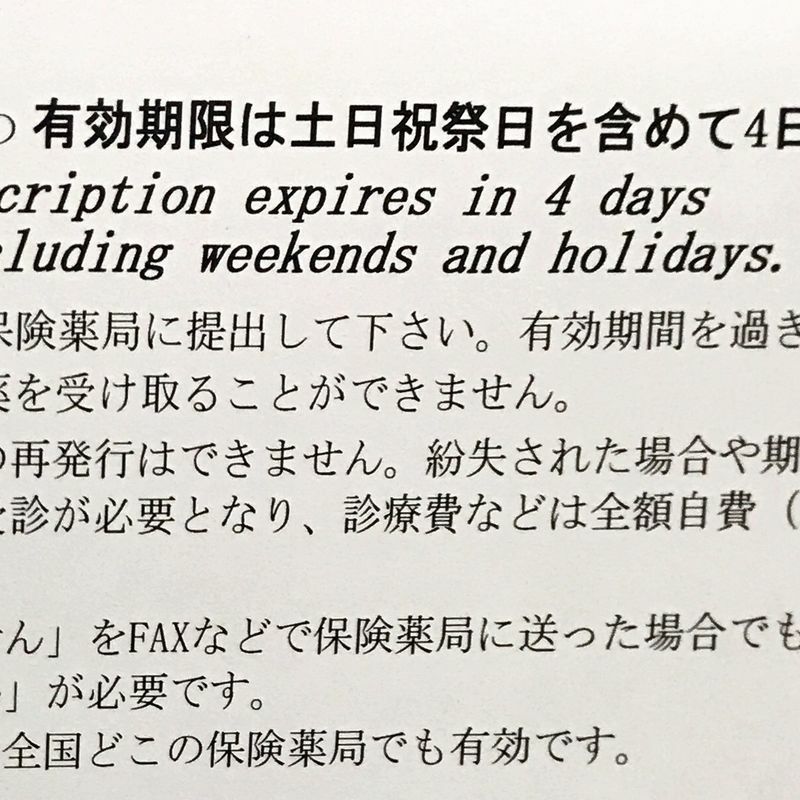 With that, I am making an appeal to the Ministry of Health or to the organization or agency governing medical practices in Japan, to mandate all doctors to ensure that all their patients will be properly informed - in whatever language necessary - of the expiration dates of their prescriptions. Let the buck stop with me. And now the billing staff also would verbally remind the patients of this policy. I just hope other hospitals in this country will follow suit. A teacher by profession, yet always a student of life. Currently living in Kanto, but in love with Kyushu.